KITTERY, Maine — A few months ago, when the Town Council decided to enter into a closed-doors session excluding its right-hand woman Kendra Amaral, she was worried. Little did the town manager know, the councilors were filling out an application to nominate her for a prestigious state-level award. 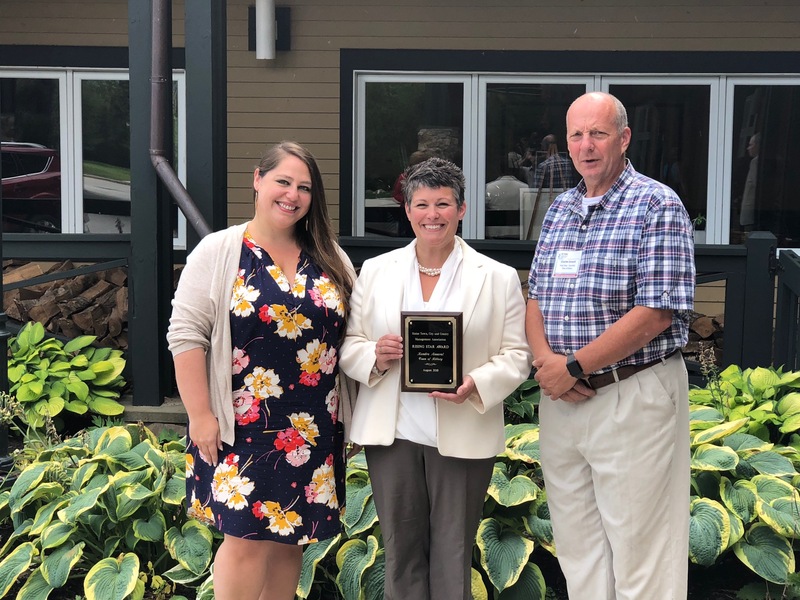 Amaral was named the state’s “Rising Star” by the Maine Town, City and County Management Association during a special luncheon on Wednesday at Sunday River. The Rising Star award is given to a public administrator who has been in the profession for five years or less, and is designed to recognize a person who has done a particularly good job in a community. The award aims to provide encouragement to stay in the profession. “The public administrator may have resolved a difficult problem, provided strong leadership during a crisis or brought new vitality and professionalism to a community,” the award reads. THERE IS A LOT MORE TO THE STORY, CLICK HERE. This entry was posted in General Town News on August 9, 2018 by Chuck Denault.